A core card in Even Shaman has always been Flametongue Totem. Since the launch of Rastakhan’s Rumble in early December, Shaman has struggled to find its footing as a viable class in competitive play. 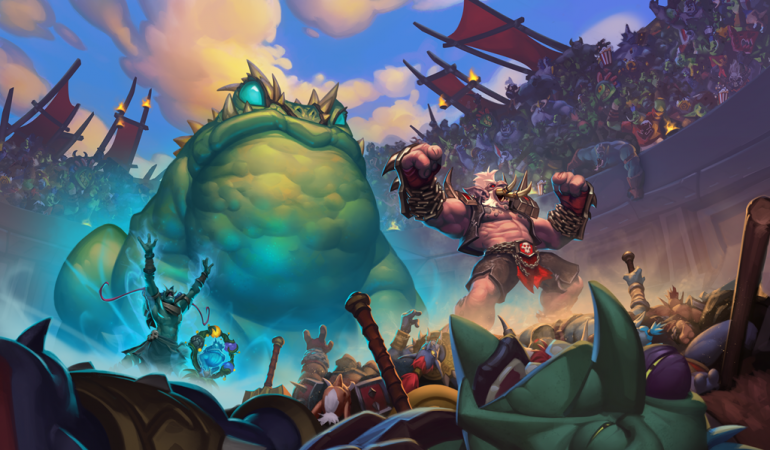 After the first wave of balance changes for the expansion took aim at Shudderwock Shaman in late December, players were pleased to learn that Even Shaman still held a decent spot in the meta. On February 5 a new wave of changes released taking aim at a number of top tier decks. One of those decks was Even Shaman. 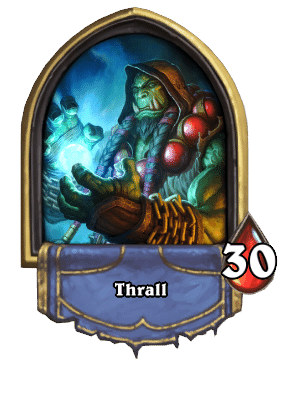 While the change made to Even Shaman may appear small on the surface, ask anyone who mains the deck and they’ll tell you just how devastating of a change it is. A core card in Even Shaman has always been Flametongue Totem. This card was a two cost minion with 0 attack and 0 health, but it gave adjacent minions +2 attack. 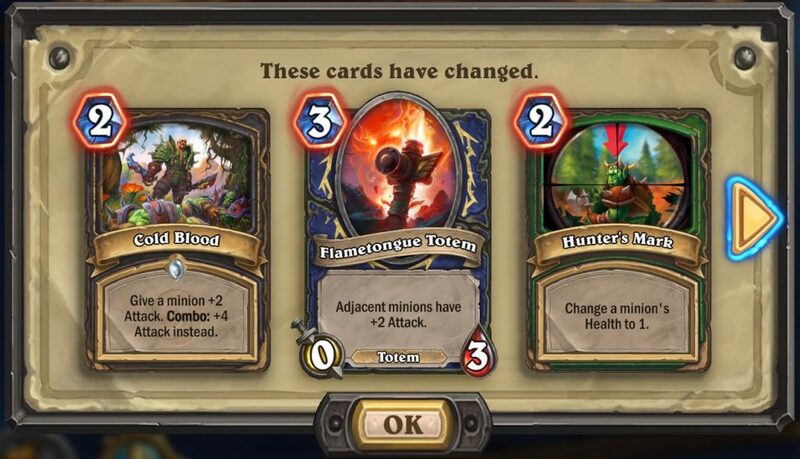 The card has been changed to now have a cost of three, meaning it can no longer be played in Even Shaman. 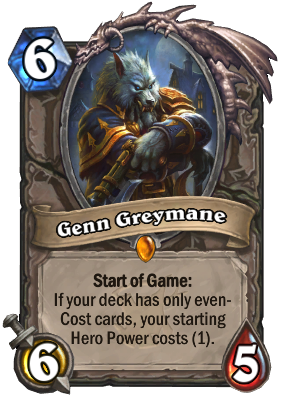 Since Even Shaman runs Genn Greymane, it can only have even cost cards, hence the name. Any Even Shaman player will tell you exactly how important Flametongue Totem was to the performance of the deck. A major part of the deck’s early game strength was its ability to buff up super low cost minions with the totem in order to help with clearing your opponent’s early game threats. What makes this nerf so damning is the lack of two cost cards that fulfil similar objectives. Most deck building websites still have Flametongue Totem listed in the deck because players simply haven’t figured out what card will be able to take its place. Some players have experimented with Windfury, a two cost spell that gives a minion the ability to attack twice in one turn. While this card can be useful in generating early game tempo, it doesn’t give anywhere close to the amount of value that Flametongue Totem did. Being able to buff two minions at once is a difficult task to achieve for such a low cost. Direwolf Alpha would be a decent substitute, but unfortunately it is already a staple of the deck, meaning it has long been used alongside the totem. So what did Even Shaman do to deserve this fate? It’s not outlandish to speculate that the deck was nerfed because of how well it performed against nearly every other meta deck. This isn’t to say that the deck felt overpowered, but it did make you feel like every match was winnable. Modern Hearthstone can sometimes feel like a glorified game of Rock, Paper, Scissors. Sometimes a player just knows they’re more than likely going to lose a match as soon as they realize what deck their opponent is playing. Some builds just perform better against others, thus is the nature of trading card games. With Even Shaman however, it felt like you had a decent chance against any deck. Even Shaman had the ability to play fast like an Aggro deck, or slow like a Control Deck. You could try to burn your opponent’s life total fast by buffing up a board of low cost minions, or you could take a slower Control Style approach by playing around your Kalimos. While Even Shaman didn’t feel weak by any means, it didn’t play like a deck you would consider to be labeled overpowered. Depending on which of the deck’s strategies you chose to pursue in a duel, one big board clear play from your opponent could cost you all of your tempo, and potentially the match. Even Shaman now feels like a deck that struggles to find value in the early and late game. Since Flametongue Totem was usually a card your opponent would want to remove immediately, now they have the luxury of using that removal on your other threats. This makes the deck feel much slower and much less impactful. When you compare the new version of Even Shaman to a deck like Even or Odd Paladin you realize is how ill equipped Shaman is to deal with these changes. Even and Odd Paladin have both been nerfed a number of times, but have been able to find suitable replacements and bounce back to the top of the tier list with ease. For Even Shaman the task won’t be so easy. Flametongue Totem was arguably the core card that made any aggressive Shaman deck work. Without the totem, Even Shaman will struggle to do any relevant damage before it is highly susceptible to board clear. Playing Even Shaman now feels like you are a Samurai whose Katana has been purposefully blunted without your knowledge. You swing with the same form you’ve always used, but for some reason your blade just doesn’t cut like it did before. Hopefully a big part of the Even Shaman change has to do with the fact that there are big things coming for the class in April when the next expansion releases. In the meantime, don’t plan on pouring too much effort into playing Shaman. Hopefully there are brighter horizons around the corner for the class of the Farseer.